The long journey from script to a film in distribution is here. POSTALES is available to watch on Amazon Instant Video…FOREVER. We got some really nice reviews last week to go along with the release. As the film makes it’s final steps in distribution the soundtrack is also being mastered by Michael Deller, John Carbonella, and the Dunham Records masters of music. Enjoy this fresh single and most importantly B-U-Y it as you wait for the whole soundtrack to be released. We are excited to be 1 of the 27 films featured at the 2012 New Jersey Int’l Film Festival at Rutgers University. Check out the full schedule for the 2012 New Jersey Int’l Film Festival. Postales continues it’s way through the U.S. to Wisconsin and the Beloit Int’l Film Festival. The film will screen twice. Check out this cute commercial from last year’s festival. Hey all, we’ve been working hard trying to keep all of our press materials up-to-date. Here is a good update. The newest incarnation of the Postales poster. The good news is we get to keep adding festivals. Enjoy! The 34th Big Muddy Film Festival has chosen Postales as it’s opening night film. The editor, cinematograher, and director are alumni of SIUC. The crew will be in Carbondale, IL to help do some workshops and master classes for the current students. Tell a friend if they’re in Carbondale to check out the screening. Here are some good mentions of Postales from the 34th Starz Denver Film Festival. As the biggest film festival in the Phillipines, Postales is deeply honored to screen here. I can’t believe we’re in the same section as Elite Sqad 2 and the new Kevin Smith film. Deeply honored to screen in the Phillipines. The journey continues as we find new audiences for the film on the way to finding the best distribution. The 21st London Latin America Film Festival has programmed Postales for this year’s festival. The film screens at Riverside Studios on the Thames River. Tell a friend in London. The Rocky Mountains and the 34th Starz Denver Film Festival has selected Postales to play as part of the following sections: Contemporary World Cinema, New Directors Showcase, Spotlight on Colorado. This great festival brings over 50,000 film viewers together for cinema each year. Tell a friend about the Postales screenings in the Rocky Mountains. The writer/director and producers will be in attendance at the screenings. The journey continues for Postales as the film industry seems to scream, “the sky is falling” in the face of emerging filmmakers who continue to create cinema against all odds to move the hearts and minds of audiences around the world. Postales will have it’s Canadian Premiere at the Edmonton Int’l Film Festival. We are excited to screen in Canada as the film only accepts a handful of films. Our fellow IFP Rough Cut Lab Alumni, Ron Eyal and Eleanor Burke, are also screening their film, Stranger Things, at Edmonton. If you know anyone near by please encourage them to check out Postales and Stranger Things, then please “like” the film on the festival’s page for Postales. 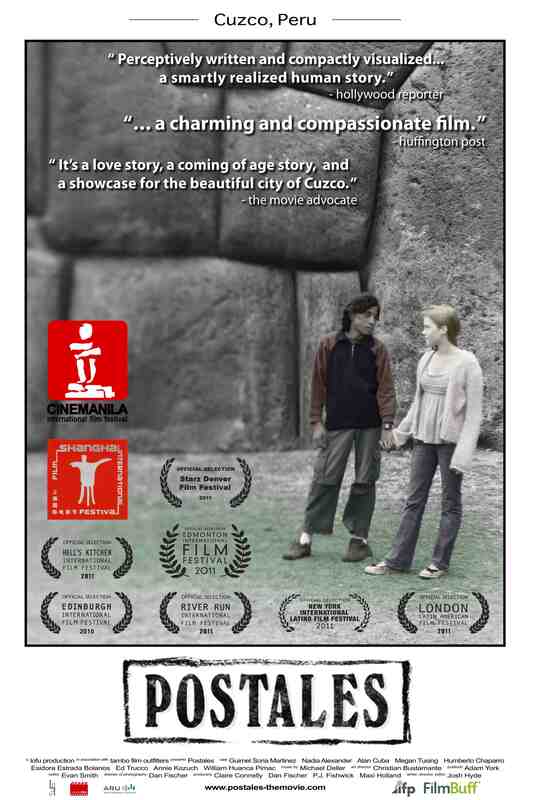 Our small film with a big heart continues to find it’s audiences at film festivals. Recently announced, the inaugural New York Hell’s Kitchen Film Festival will have an opening film, Kevin, from Jay Duplass and the closing night film, Lost in Italy from Craig Vivieros. Postales is extremely honored to be the Centerpiece film in this festivals Inaugural event. The director, Josh Hyde, will be in attendance for the Q and A. 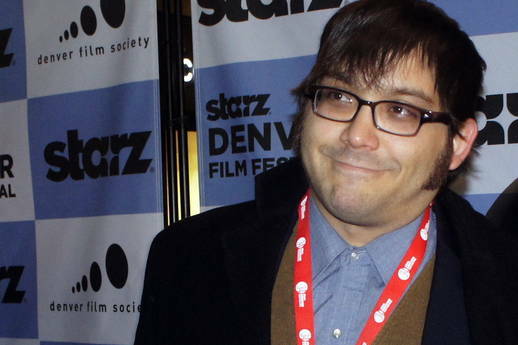 There are some more film festivals announcements on the way. The momentum for our film continues. We’ve just signed with our wonderful sales agent, Filmbuff/Cinetic Rights Management, and our continuing on the film festival circuit. We started with the International Film Festival circuit and now we are coming back around to do the U.S. film festival circuit this year. We’ve got some more festival announcements coming up, some international and some domestic, but we’ve got to keep it a secret for another week or so. 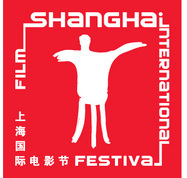 Postales is off to the 2011 Shanghai Int’l film festival for the Asain Premiere. To put in in perspective. I think Germany will take 16 films, New Zealand has 3 films, and I believe Canada is representing with 10 films. It’s an honor to be part of the group of American films being presented in China. I hope our story of cultural understanding through the eyes of innocence will find it’s audience at the Asian Premiere. More good news is on the way, a full soundtrack, and more reviews. Here are some articles about the festival and the growing need of International Cinema in China.